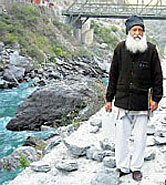 A 77-year-old former Indian Institute of Technology (IIT) professor ended his fast-unto-death here Friday, the 20th February after the central government accepted his demand to suspend work on a hydroelectric project on the Ganga river in Uttarakhand. G.D. Agrawal, a former dean of IIT-Kanpur, was sitting on a fast for over a month – it began Jan 14 – near Birla temple in the capital, protesting the construction of the Lohari Nag Pala hydro-electric project in the Uttarkashi region. 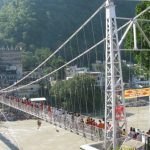 According to environmentalists, the project is likely to dry up the 125 km stretch of the Ganga between Gangotri and Uttarkashi in Uttarakhand. 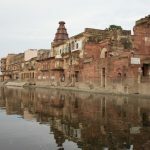 Prithviraj Chauhan, minister of state in the Prime Minister's Office, Friday sent a letter to Agrawal apprising him about the government's decision to suspend work on Lohari Nag Pala project. "For all of us, the Ganga is a symbol of India's faith and culture. And the construction work on the Lohari Nag Pala was destroying the natural flow of the holy river to a great extent. 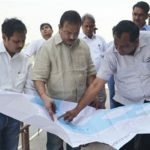 I am thankful to the central government for taking this into cognisance and stopping the project immediately," said Agrawal. He was the secretary of the Central Pollution Control Board in the early 1980s, has been credited with shaping India's policies for improving environmental and pollution regulatory mechanisms. For the past few years, he has been living in Chitrakoot and teaching students at the Mahatma Gandhi Chitrakoot Gramodaya Vishvavidyala. A bachelor, he is known to follow a spartan, Gandhian lifestyle, living in a cottage, where he cooks his own meals, wears homespun khadi and travels by bicycle. On April 14, he wrote a letter to some associates in which he outlined how the quality, quantity and flow of the Ganga between Gangotri and Uttarkashi were being disrupted to generate hydro-electricity. "Already, long stretches of the Bhagirathi Ganga remain waterless for long periods. In the near future, this may become the state of the entire river. At least the Bhagirathi, upstream of Uttarkashi, should be spared of any works that disturb its natural flow, ecology, purity or piety. After brooding over it for several months, I have decided to oppose such works with all the might that I have," he wrote. 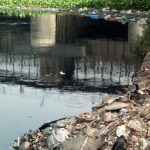 Mr. Agarwal warns about the long-term changes that would be brought about in the ganga water that will subsequently affect the aquatic and terrestrial ecology, land use and the overall environment. "Since these are subtle changes and take a long time to become visible, they are generally ignored both by project planners as well as environmental impact assessment consultants," he says. There are specific impacts on vegetation and wildlife as well as those brought about by construction and quarrying, which would become immediately visible in the fragile mountain region, says Agarwal. "Most herbs of medicinal value are found in these pockets of sensitive vegetation. Many important fish species like ‘ hilsa’ are known to migrate to Himalayan uplands for spawning. Those pushing these projects have conveniently stated that earlier projects have already disrupted this migration. Also, no thought has been given to wildlife, which is already under threat. Wouldn't the blasting and tunnelling in the Himalayas drive the wildlife further away from their present hideouts? 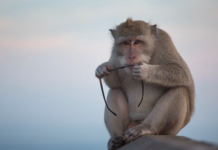 And, if wildlife cannot survive in the jungles of the Himalayas, where else can they survive?" he asks. 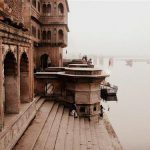 "The Ganga is no ordinary river — it is revered and worshipped by crores of Hindus," says Agarwal. "It has been proved through scientific studies that Gangajal has disease- curing, health-promoting and purifying properties at levels much beyond any other waters known. 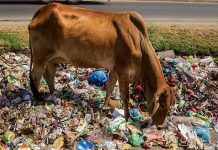 How can you apply the same criteria, the same environmental impact assessment guidelines and the same economic planning to the Ganga as to some nondescript stream?" he says. 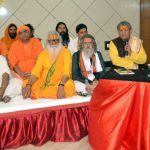 In fact, the issue of faith has drawn many religious leaders to support Agarwal — like yoga guru Swami Ramdev who recently launched the Ganga Raksha Manch. Swami Chidanand Saraswati of Parmarth Niketan – the head of the largest ashram in Rishikesh — has been another vocal supporter. "We need to understand the consequences of obstructing the flow of the Ganga. If this is allowed to happen, there would be nothing left of the Ganga in 25 years," he says. But if hydel power projects are done away with, how would growing electricity requirements be met? Uttarakhand, for instance, has a significant hydro-potential of 15,000 mw, out of which only 10% has been tapped. The way out is to adopt a middle path, says Sarasawati. "Alternate sources of power like thermal or solar power can be explored. Besides, there are many smaller rivers in the region, which can be harnessed, without causing significant changes in their flow."